Which way for the Bristol & Bath Railway Path? The Bristol & Bath Railway Path carries over two million journeys each year, and is one of the UK’s most popular traffic free walking and cycling routes. It was built in the early 1980s by Sustrans, with help from many local volunteers, and turned a derelict railway line into a valuable amenity and green space. The popularity of the path does not come without its challenges however and, in particular, the section of the path that passes through Easton and Lawrence Hill in Bristol can feel very congested. 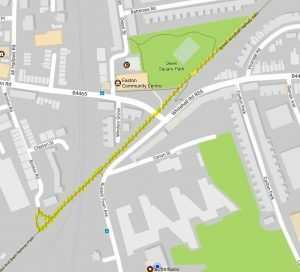 Residents have been working with Up Our Street, a local charity, to try and resolve some of the conflict on the path and, in particular, the issue that slower-moving users can feel put at risk by the excessive speed at which some cyclists travel. This can be felt particularly during the term-time morning rush hour, where the journey to school and the journey to work take place at the same time. Following a research case study with the University of Bristol and, after talking to many people who use the path regularly, Up Our Street felt that some practical interventions could be trialled to try and address these issues. Bristol is part of a European project called URBACT, which looks at challenges cities face in the field of urban resilience. This project, coordinated in Bristol by the City Council, offered an opportunity to test some temporary changes on the path. These will take the form of a ‘Play Zone’, and a number of small interventions seek to change the look and feel of the space for people travelling through the area, enhance a sense of community and sociability in the space and send messages that there are many uses of the path happening at once. The interventions include some giant xylophones, some temporary artwork, stencils and chalkboards, which encourage passers-by to interact and engage. Questions will be asked to seek interaction from people and help develop a possible code of conduct for the path. The Play Zone will be monitored each day and we will ask people what they think of the changes over four weeks. The feedback will help shape further plans for making the Bristol & Bath Railway Path a safer place for all. If you would like to come and see the Play Zone and give your feedback, visit between 23rd September and 20th October. 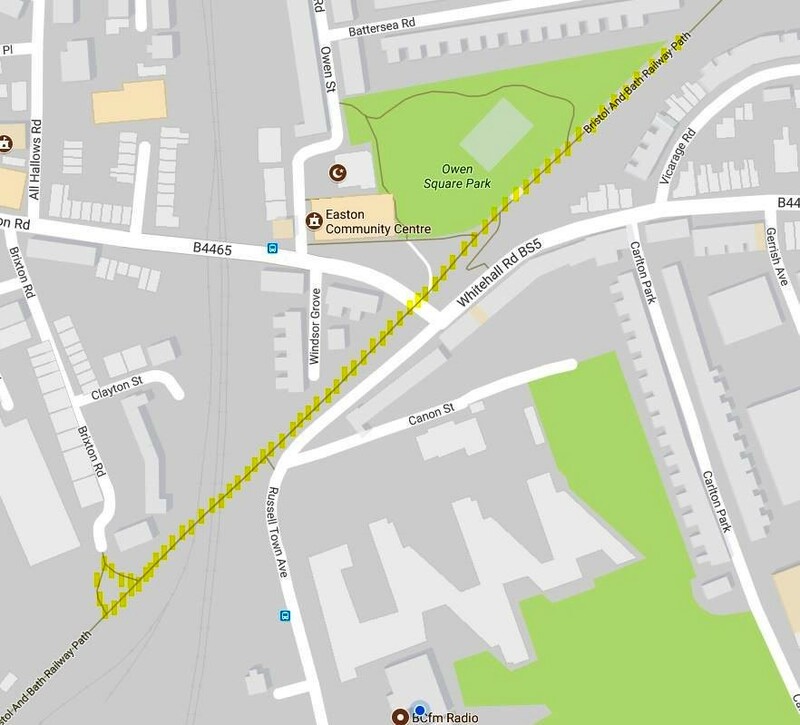 The ‘Play Zone’ will be on the path between Brixton Road and Owen Square Park.